The dynamic team of Svoge municipality has the ambition to realize all their innovative ideas and complete the joint project of PVB Power Bulgaria AD and SvogeMunicipality, started early in 2003 and named “Sreden Iskar”. The project plans construction of nine small hydro power plants, situated on the River Iskar. It is being realized by VEZ Svoge JSC (Class „A“ Investor) – by means of public-private partnership. It will be implemented in the period 2006-2015. During the period 2008-2012 are built and put into operation, SHPP Lakatnik, SHPP Svrazhen and SHPP Tserovo, as the official opening to the last one took place on 15.06.2012. In the territory of Svoge there are several ventures providing jobs for a large part of the population. A part of the population is engaged with many smaller companies, as well as in government administration, education, healthcare, transport and others. 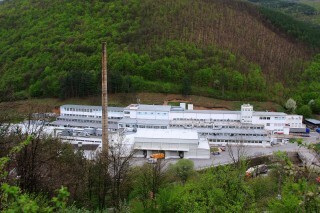 The most emblematic enterprise of Svoge is the chocolate factory. In the minds of millions of Bulgarians from different generations, notions of „chocolate“ and „Svoge“ are equivalent and inseparably linked. Founded in 1924 by entrepreneur Velizar Peev, over the years it has provided a livelihood for hundreds of families from Svoge. The story of the selection of the place for construction of the factory is very interesting. It is said that Peev travelled many pretty villages, located near the river and not far from Sofia, in search of a naturally cool place, given the output that was about to be produced. He came across the present location of the factory, which is right next to the River Iskretska, with northern exposure and the constantly flowing, cool stream. Nowadays, it manufactures more than 100 kinds of products, including the chocolates „Svoge“, bearing the mark of „Mondelez Bulgaria“. The factory provides around 450 jobs and exports its products to over 11 countries. Another important company in Svoge is the plant for production of cardboard packages, cartons and labels „Grafobal Bulgaria“. It provides more than 120 jobs. The enterprise for manufacturing linear knitwear, sportswear, women’s, men’s and children’s clothing „LILIA C“ – Svoge, providing about 130 jobs and exports its products to countries like Germany, France and Italy.